In order to meet the demands of our clients in a promising manner, we have come up with significantly designed Blenders and Mixers. These products are developed with utmost precision by making use of premium quality required basic material under the supervision of our professionals. The range includes Masala Mixer, Mass Mixer, Stainless Steel Mixer and many more. Conforming to the defined parameters of the industry, these products are featured with below cited attributes. 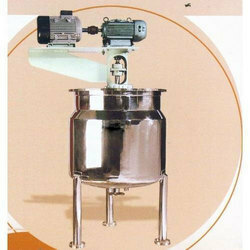 We are engaged in offering Liquid Mixer. Our wide range of Mixies that we manufacture and supply are designed in order to complete the demand of various kitchens. These Mixies are manufactured using high quality of raw material and consisted of high performance motor. We are one of the leading manufacturers and suppliers of molded plastic Ingredients Mixer, which are manufactured using optimum quality raw material. we are constantly working towards improving our range, making it fit to meet the dynamic market requirements. We are manufacturing and offering high quality range of plastic hand molding parts that are easy to use and can be used effectively for longer time. We are providing our precious patrons a precision-engineered Masala Mixer. Offered blenders are ideal to be used for the purpose of mixing dry powder. 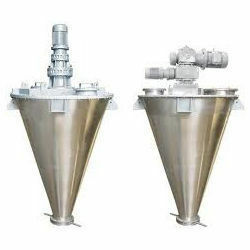 To ensure the same, we manufacture the parts of these cone blenders using stainless steel, sourced from the most eminent vendors of the industry. We are offering to our client Paddle Mixer. They are used in various industrial applications for their features like easy to maintain, durability and flexibility. Also offering as per client specification. The equipment available with solid trough for light application to suit soft & less abrasive materials and with diaphragm trough for heavy & highly abrasive materials. 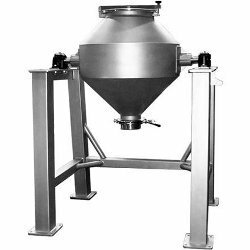 Mass Mixer Designed to perfection for thorough mixing, our mass mixer is easy to clean and maintain. It is equipped with safety transparent dust cover & has specially designed self-adjusting sealing arrangement, which ensures that no black particles enter the mixing drum. 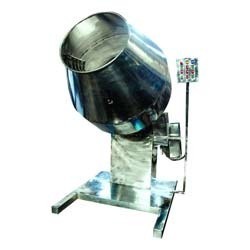 Counted among the reputed suppliers, manufacturers and exporters, our clients can avail high quality of Tilting Type Mixer in accordance with client’s requirements. These are manufactured using stainless steel as per ISI specifications. Our wide ranges of these mixers are used for preparing batters in restaurants and hotels.